The same wind blows on us all. 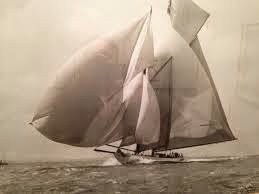 Where we arrive is determined by the set of our sails. The Same Wind Blows On Us All by Jim Rohn. course), a change that was never mentioned to me or anything else that pops into my head. The truth is that the same wind blows on us all...the economic wind, the social wind, the winds of change. We don't succeed because we don't take care in setting our sails. There is a lack of planning on our part. Perhaps we weren't paying attention and decided, just for a moment, to drift with the current of the times. In one year, or five or ten, we will all arrive; the question is where? Plan your life as you would plan your vacation, with attention to the smallest details. Pay attention to the set of your sails so you arrive at the destination of your choosing.